Switchcraft Type 11 Little-Jax phone jack. 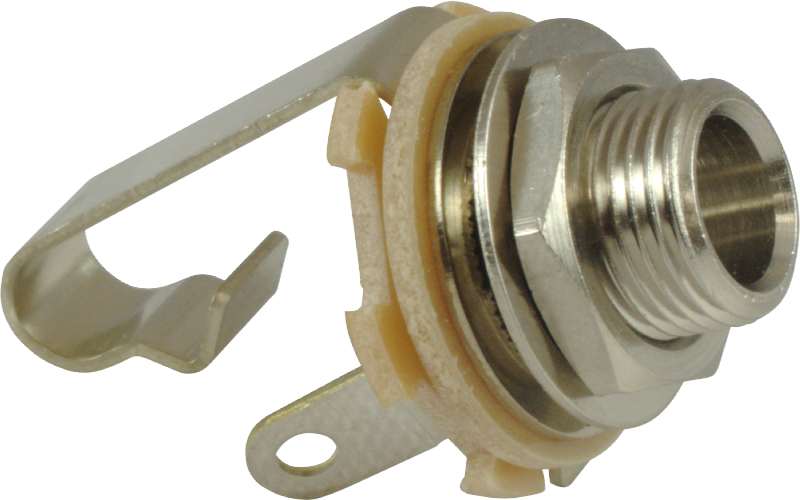 Great replacement for Fender® guitar & amp input jacks. 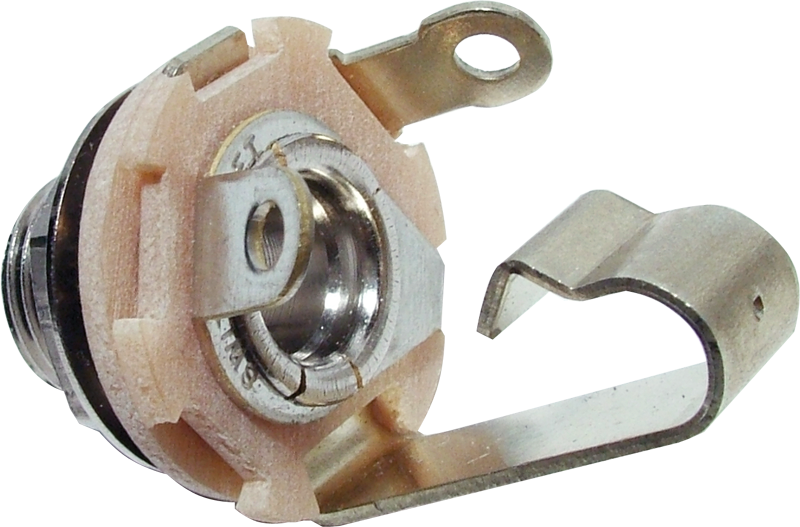 Long (0.375") W-SC-L11 Weight 0.02 lbs. All models Packaging Dimensions 1.3 in. x 0.8 in. x 0.8 in. Standard (0.275") W-SC-11 Chassis Hole Diameter 0.375 in. Standard (0.275") W-SC-11 U.S. Thread Major Diameter 0.375 in. Standard (0.275") W-SC-11 U.S. Thread Pitch 32 tpi. Standard (0.275") W-SC-11 Weight 0.019 lbs. Switchcraft has been around for an extremely long time, they always make fantastic high quality products. Including this 1/4 Mono Jack. I have install countless amounts of these jacks and Stereo jacks. Extremely high quality, have never had one fail. Ever. Have resolder, over heated, re-used in other projects without trouble. Will buy these jacks until they are no longer made, there is very little competition. Switchcraft products are superior in quality for any electronic need. AES has these parts available for the best value from any supplier, that is why they are my first option for my music and electronic resource! Super, exactly like I wanted it. so good. Great quality and just what I needed for my projects. 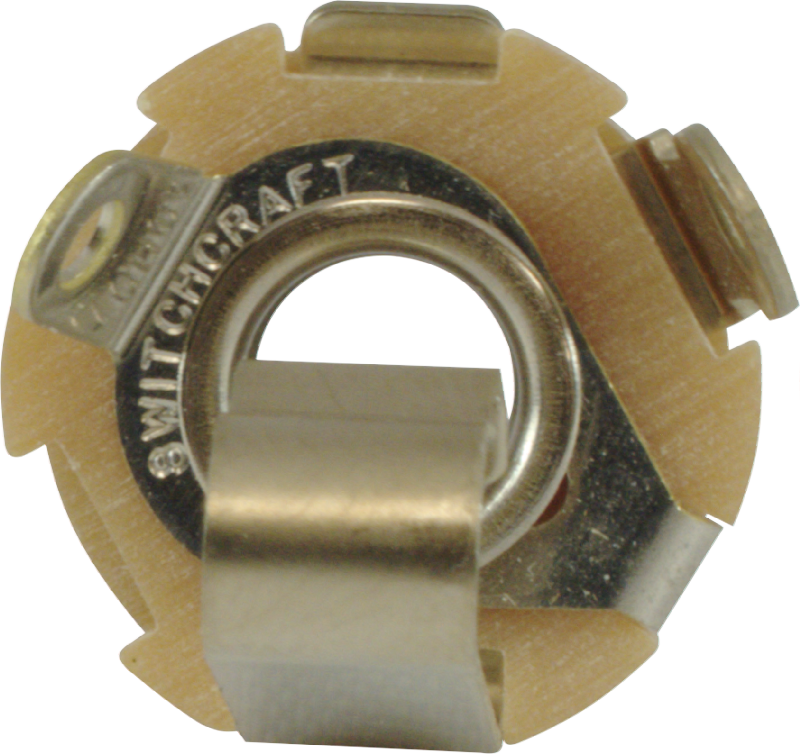 Whenever I get a guitar in my shop that has a jack problem, the first thing I do is pull the cheap -- and next to useless -- metric import jack, toss into the trash, then install a Switchcraft with a 3/8" inside diameter inside tooth lock washer (I buy them in boxes of 100), and voilà, no more jack issues, no more broken connections at the jack (unless there's a loose pot -- put lock washers on those, too). I've worked on 50+ years old guitars that have a Switchcraft and lock washer. Unless someone in the past loosened the nut, it's almost like it was welded onto the jack. Too cheap and good quality. These are THE BEST. Accept no substitute. Unless, of course, you enjoy having customers come back with complaints. The dollar or two you save buying anything else will be wasted... these are good for 50+ years of hard use, and still seem to be made like they were 'back then'. .very good product . delivery was fast ..good seller . Asked by Anonymous on May 24th, 2017. The outer terminal is the tip (output) and the inner terminal is the sleeve (ground). All of the plating and material descriptions can be found by referencing the PDF located on this page under Specifications, Files, and Documents. Asked by Anonymous on August 3rd, 2017. Yes do a search for SKU: S-HRVNT. The threaded portion of this jack is 0.375 in. Yes, this would be a great choice for that application. 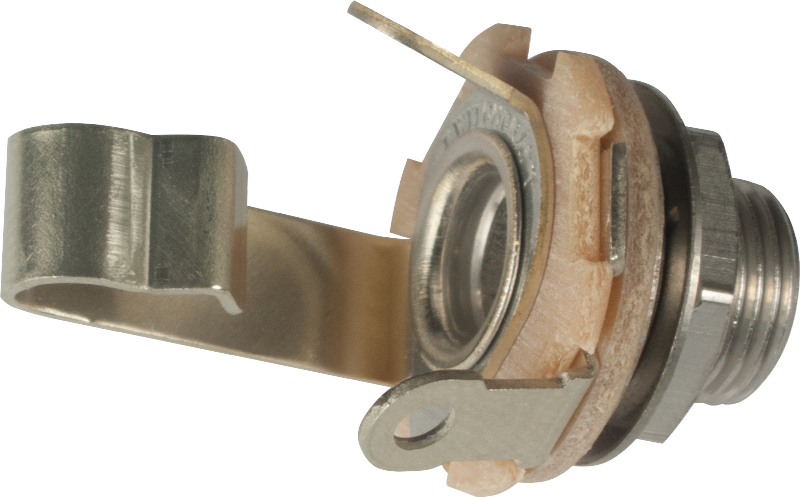 You may also want to consider a W-SC-L11 that has a longer bushing for extra clearance.